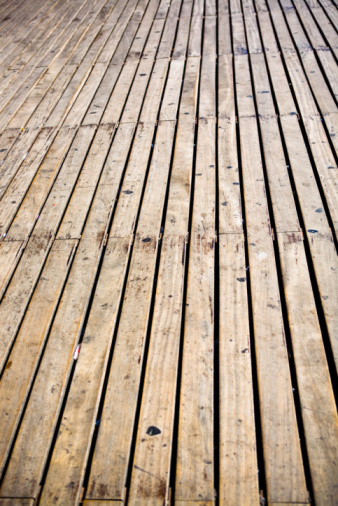 Just like anything else, a deck requires periodic cleaning to keep it looking its best. You can use chlorine bleach to scrub the grime from your deck's boards and railing, but you will likely do more harm than good. Chlorine bleach applications can strip color from the wood and speed up the corrosion of hardware on your deck, according to Tim Carter, a longtime builder and syndicated columnist. In addition, the runoff from chlorine bleach can kill surrounding plants and trees. Instead, you can make your own non-chlorine bleach deck cleaner that will effectively remove the layers of dirt without harming the deck or the environment. 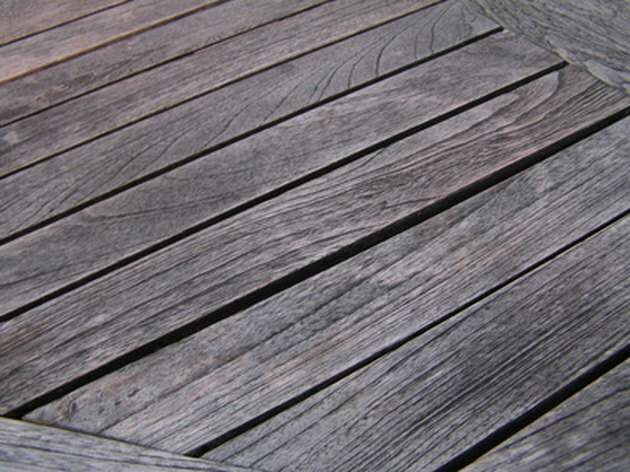 Over time, decks develop a layer of dirt and grime. Fill a 5-gallon bucket with enough warm water to clean your deck. Add 6 oz. of powdered oxygen bleach for each gallon of water. Stir the water with a long-handled brush or clean toilet brush to help dissolve the powdered oxygen bleach. Let the mixture sit for five to 10 minutes to ensure that the powder completely dissolves and will not clog the sprayer. Pour the mixture into the pump sprayer, and it's ready to apply to the deck. 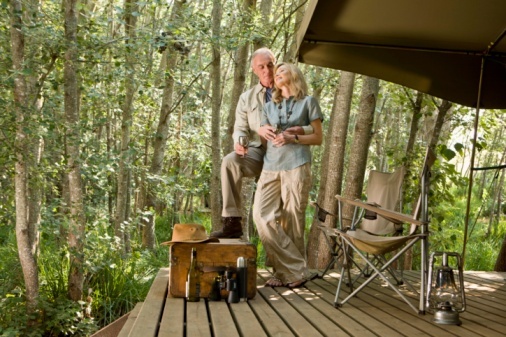 What Is the Difference Between Solid Color Deck Stain & Paint?